Black, Edwin (November 9, 2003). “Eugenics and the Nazis - the California connection”. San Francisco Chronicle: D - 1. http://www.sfgate.com/cgi-bin/article.cgi?file=/chronicle/archive/2003/11/09/ING9C2QSKB1.DTL. Black, Edwin. The War Against the Weak: Eugenics and America's Campaign to Create a Master Race. New York City, NY: Four Walls Eight Windows. ISBN 1-56858-258-7. Gray, Madeline. 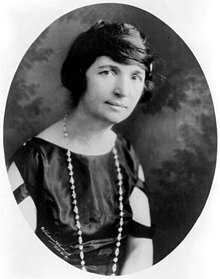 Margaret Sanger: A Biography of the Champion of Birth Control. New York City, NY: Richard Marek Publishers. pp. 280. ISBN 0-399-90019-5. Marshall, Robert G. and Donovan, Chuck (October 1991). Blessed Are the Barren: The Social Policy of Planned Parenthood. San Francisco, CA: Ignatius Press. ISBN 0-898-70353-0. Sanger, Margaret (April 1932). “A Plan For Peace”. The Birth Control Review: 106. http://www.lrainc.com/swtaboo/taboos/ms_apwp.html.